First and foremost, HAPPY BIRTHDAY TO MY AMAZING BROTHER JEFFREY! Love you and miss you like crazy! 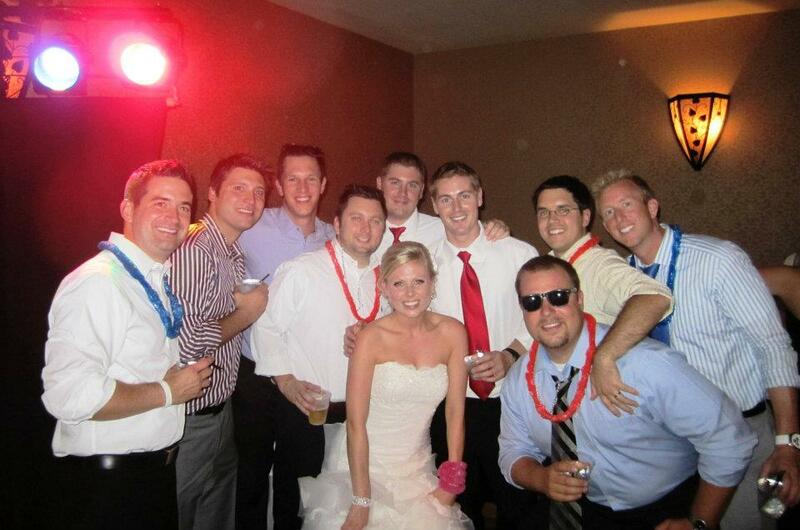 Love the photo above too (Jeff is to the direct right of me in the red tie and Kevin my other brother is behind me to the left of Jeff, also in a red tie; missing is Scott and Dana, probably out back smoking a cigar). 🙂 Kidding (sorta)! Yesterday afternoon I headed to the gym to work it out. I began with a 30 minute elliptical workout while oogling over Rachael Ray’s Magazine and all of her amazing Spring recipes. I then headed over to the weights to grab a couple of dumbbells. I brought them over to a secluded area in the gym over by the racquetball courts (I like my privacy sometimes) and got to work. Here’s what I threw down. Lately I have really been loving the plank with opposite knee tucks. I have been doing them daily. I actually think they are fun and they make me feel strong. I have been very proud of myself lately with my fairly consistent strength training! It is amazing how good it makes you feel. For dinner last night I baked about 10 of Alexia’s Sweet Potato Puffs in the oven. While they baked, I began lightly sautéing broccoli on the stovetop. Once the broccoli were slightly cooked, about 3 minutes, I pushed the them to the side of the pan and cracked an egg in the middle of the pan. I cooked the egg over easy. At the very last second, I tossed in the last of the leftover cowboy caviar. 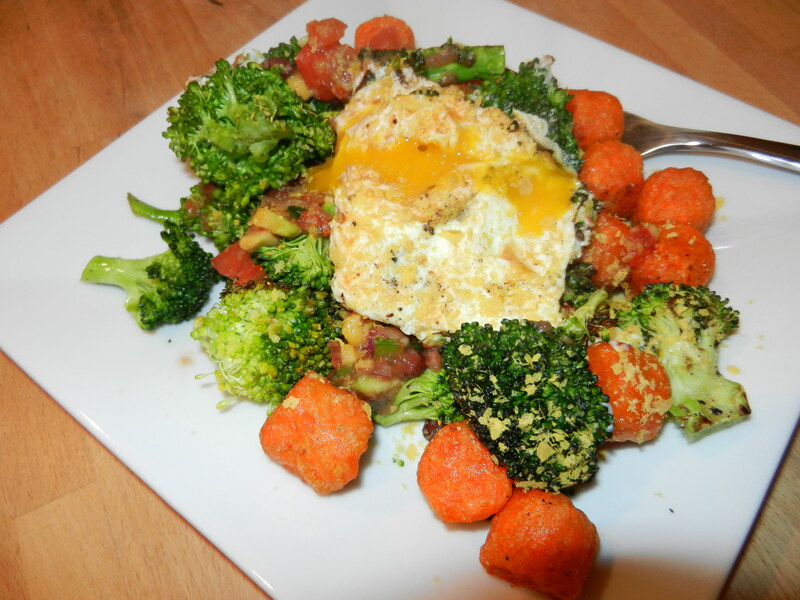 I dished the broccoli egg mix with the puffs, sprinkled the dish with nutritional yeast (and a touch of ketchup) and enjoyed an easy and satisfying dinner. I had greek yogurt for a little snack later in the evening. Today, my morning started off with a bowl of goodies much like yesterday’s. In the mix today was a oatmeal, Fage plain non-fat greek yogurt, almond milk, chia seeds, blueberries, strawberries, blackberries and honey. I combined the ingredients together last night (minus the blackberries and honey) and let it sit in the fridge over night again. 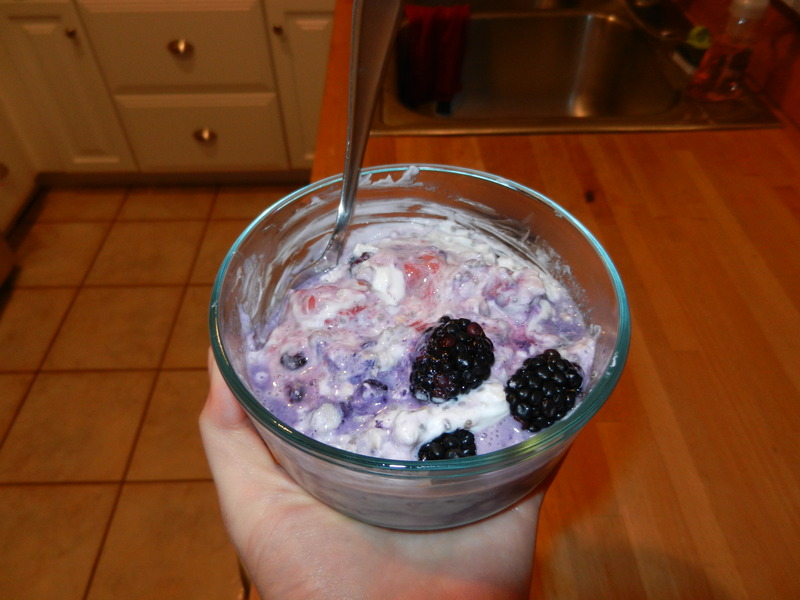 This morning I added the honey and blackberries and once again had a sweet creamy fruit and yogurt bowl. I neglected the morning workout yet again for sleep, but I have fun workout plans after work today! This entry was posted in Dinners, Family, Workouts and tagged Strength train, Veggies, Workouts by Melanie. Bookmark the permalink. Thanks Kal! I will have to check this out!